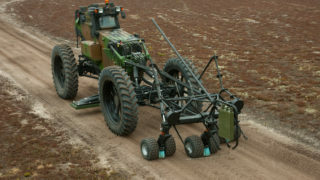 VDM is a combat proven route clearance solution able to clear 150 km of route, in one day, with a maximum speed of 25 km/h. 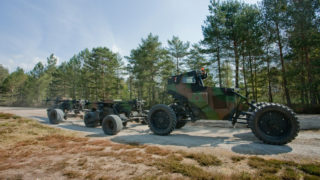 VDM is particularly suitable against mines and IEDs, for securing shuttle traffic (supply convoys, …) or for opening up main routes during combat operations. 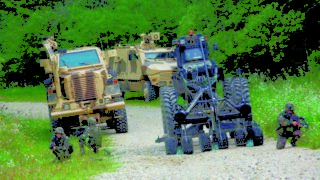 This modular vehicles can operate within a combat engineer detachment as a Counter-IED system dedicated to the clearing of IED threats during route opening missions. 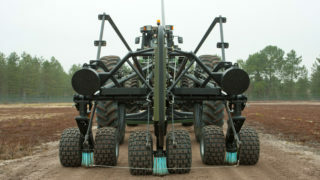 The VDM is blast resistant and is easily and fast repairable during the mission. 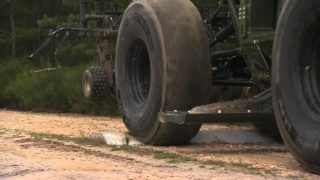 The existing configuration provides a good level of protection for the crew through standoff activation of the threat and a protected cabin against ballistic threat and blast. The VDM offers high growth potential to face fast evolving in-theatre VDM threats. 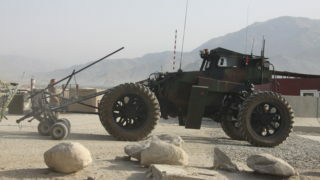 It is in service with the French army since 2 years.